The search for rare earth and specialty minerals in New Zealand could become the new battlefield for Government regulatory change, environmentalists and the mining sector. The “green-tech” low carbon emissions industry is heavily reliant on access to rare earth elements, which are at present in short supply world-wide. The specialty mineral lithium, often linked with tin and tantalite, was highlighted by Energy and Resource Minister Megan Woods as potentially “strategic” for the country, being much needed by the emerging green energy industry worldwide, she said at the inaugural New Zealand Minerals Forum in Queenstown. 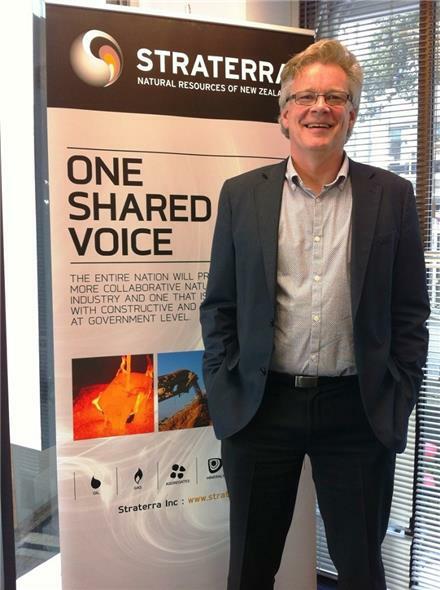 Industry lobby group Straterra chief executive Chris Baker welcomed Dr Woods' acknowledgement of the need for “clean tech minerals,” but countered the regulatory conditions had to be such to attract investment to the sector. “We support the Government's interest in these minerals, but note that we have to provide the conditions to encourage investment if we are to realise the opportunities,” Baker said. The clean tech minerals are used in low emissions technology, including wind turbines, solar batteries and electric vehicle lithium batteries. Baker said to build one 3 MW wind turbine required 335 tonnes of steel, 4.7t of copper, 1,200t of concrete, 3t of aluminium, 2t of rare earth elements and zinc. “Minerals are part of modern life; they're used in everything from cell phones and home appliances, through to creating the steel for wind turbines and batteries,'' he said. Baker highlighted mineral exploration and development was “challenging,” as finding an economic mineral deposit was uncommon and much investment was required before a new mine was identified. A recent GNS Science study - commissioned by the Ministry of Business, Innovation and Employment - revealed lithium potential in several regions. This included the central North Island and the Hohonu Range on the West Coast of the South Island, nickel-cobalt potential in Nelson-Tasman-Marlborough and Southland regions, with potential for rare earth elements (REE) on the West Coast. “We now have a sound base to inform decisions on these strategic minerals which are widely used for energy storage in electric vehicles and other low emission technologies,” Dr Woods said. The study into lithium, rare earth and nickel-cobalt was released at the conference. Rare earth minerals are at the forefront of new green technology, with China being largest supplier, but having restricted exports during the past two years, sending prices spiralling. Dr Woods said there was “sky-rocketing demand” around the world for the clean tech minerals, which could aid NZ's transition to a low carbon economy. “That (mineral) demand represents a real economic opportunity for New Zealand,” Dr Woods told delegates. Baker said minerals, produced locally or imported, had an essential role in supporting NZ's transition to a low carbon economy. He said innovative techniques were used to create three maps of potential REE prospectivity using geochemistry, geophysics, rock analyses and cutting-edge data interpretation methods; the first of their kind produced in NZ. “The study has identified areas of potential while also ruling out other areas,” Dr Wood said.